The best part of eTail insights is the extent and accuracy of it's data. There's no platform I've seen with more comprehensive company AND lead info for eTailers. We first start with using online revenue and a few other metrics to help ID our TAM, and going from there it's incredibly straightforward to finding the right person to reach out to. The biggest challenge with any lead platform is ensuring the data is fresh and correct. 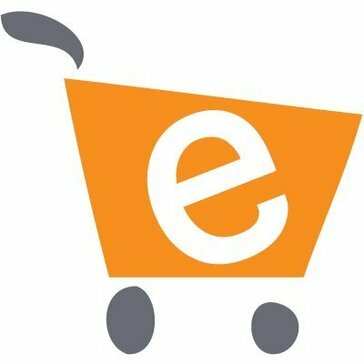 I'm nitpicking here in saying that eTail is not always perfect. That said, it's of the highest caliber compared to any other tool I've seen out there, and I've vetted many. The platform is easy to understand and intuitive, and the data is among the best provided for etailers. I'd strongly recommend you try this tool, I don't envision a situation in which it won't be helpful. eTail Insights helps us with the full picture of lead gen. From finding the "right" accounts, to then narrowing in on the "right" people at those companies, this is often a 1-stop-shop compared to what my life looked like before. If you're in and out of your CRM, LinkedIN and/or other tools in building your lead gen efforts, I'd recommend you give this a try and see how it streamlines your process. "Strong Source of eTail Data"
Have 99% of companies I search for. It's a good source of information from revenue to executives to website info. It's my go-to when researching companies. Their customer service team is excellent. They've answered my questions fully and helped me find information I'm looking for. And always done rather quickly. Hats off to CS at eTail. Like data source, double check the numbers and contacts. My industry, retail, has rapid turn over and executives change. However, you have the ability to suggest corrections and receive credit for them. That's given me the ability to search even more companies. So win-win. Give it a go. They have 99% of the companies that I need and 95% accuracy of information. They do show if a company is pureplay and/or brick and mortar which I find very helpful. eTail is my base to determine what companies are in my TAM and get an inside look at their company size, SKU count, and other information about their website. "Terrific resource for researching brand's and e-tailers"
I like that Etailinsights has some of the freshest data on key targets in e-tailing across numerous verticals. The depth and breadth of the information on companies and principals is better than D&B/Hoovers, or Jigsaw/Data.com, or what you can find on Google. They do their homework and you get the benefit, for a reasonable cost. It's impossible to always be current, no matter how good your resources and data discipline. Like anything you find on the internet, trust but verify. Demo the platform, compare to those others I listed, I think you will come to the same conclusion. I've used data sources in sales and marketing for almost 20 years, and Etailinsights is the sharpest tool in my data source shed. We use Etailinsights to research current prospects, create lists of potential partners and clients, and even validate assumptions about current clients. The benefits are highly targeted lists and deep dive research into potential partners and counterparts in the broader industry of ecommerce. What I like best about eTailinsights is that it is constantly evolving. From when I started using the tool to now, there have been many innovations and growth...which means more leads! Additionally, the team is very accessible. I enjoy being able to have constructive conversations around the tool when necessary. What I like least about eTailinsights is that everyone has access to the same information. This has kept me from asking for information about accounts that I know there is significant opportunity. Primarily the tool provides me with leads and solid contacts throughout that organization. It's amazing how responsive people are when you just have the correct email and phone contacts. "Good platform to start prospecting with"
I like that it has so many companies and almost always has the correct email format for prospects from that company. You're able to filter by state, company size, revenue, software they use, eComm platform, industry, etc, which is very helpful for narrowing down who you want to reach in your territory. Sometimes I'm surprised to find that certain companies aren't included and they are still struggling to build out their Canadian and UK profiles. Also, I'd say for an average size account/ company, they only have about half of the contacts that you need. I would recommend Etailinsights overall, though I think it is most valuable used in conjunction with Linkedin Navigator. I would say it's a fantastic jumping off point for prospecting, though not extensive enough to use as your only tool because you'll miss a lot of prospects. Prospecting for new business sales and getting generally reliable contact info. In a day where relevancy matters, Etailinsights provides granular account and prospect level data that is unmatched across dozens of other databases. My initial thoughts were more on international/Non-US based prospects but that is already being solved for as well. If I was building a sales team or responsible for the growth within an organization, it would be a must-have. Account based targeting and personalization with first calls and emails that work. In a very crowded market, show and throw up doesn't work. Etailinsights gives you the data you need to start a call with some fundamental knowledge of your prospect's business, potential challenges and even timing. "Good resource for retail companies and prospects. " Ability to search for retailers in the US/Canada based on a number of different criteria. My business development team is then able to quickly add contacts from the company with just a couple clicks. Saves a lot of time from having to create records in SFDC. Our team is also in the UK and the amount of contacts for that region is very limited. I would recommend this resource for companies looking to find retailing prospects. Finding the contacts and companies who we can reach out to for business development. We have saved a lot of time and energy searching by utilizing Etailinsights. "Great resource for prosepcting "
I like that the information is easy to access and that I can find most of the information that I need in one place. Id like to see the information get updated more frequently. For prospecting it all comes down to have the information I need so having the right contact info, email address and even phone saves me some search time. "Great Database & Platform to Help w eCommerce Sales"
Easy to use tool, good data that helps engage the right folks, understand the tech stack. Great & easy integration to Salesforce CRM, auto-sync is cool too! Gives you contacts and LinkedIn profiles, which are a great way to start the prospecting process. Not all contacts are up-to-date. This is my main complaint. Good place to start, but DEFINITELY would not recommend as the ONLY prospecting tool you use. A good complimentary piece. It's a great way to learn more about a company, its structure, and acquire the right contacts. "Great technolog and even better support!" Love etailinsights as they constantly update new data and are very responsive on the customer service side. Jessica Nance is the best! Nothing I can think of right now but Ido wish they had more of Canada built out. Finding good quality retail / ecommerce companies to call on that would benefit from my software. "great for information but not always consistent"
Missing and incomplete info. One in 20 companies has phone extensions and often those are wrong. Missing executives, incorrect titles. Companies that are clearly in the ecommerce space are listed as "Not Retailers", when I'm clearly seeing prices and a shopping cart. Can push companies and their appropriate contacts into salesforce faster than I could input manually. "Great product! Highly recommended for sales professionals selling into eCommerce solutions"
It's perfect for a quick reference for something. Whether it's a brand HQ, or the best point of contact for a particular account, I find myself going to eTail first for validation. We're using eTail for our prospecting and our data validation. It's been immensely helpful in this respect. "Great Overall Experience...Use It Everyday...Absolutely Vital To My Job!" Huge database of retailers/etailers...anyone/.everyone you could ever imagine! Contact names/titles/email addresses is great too, not to mention all of the detailed company data! What's not to like?! I have no complaints, and wouldn't change a thing. Finding and qualifying companies to call on. Knowing overall revenue, product count and decision makers to verify time spent on accounts and overall efficiency and accuracy with prospecting. Also the Google Chrome extension! I would have to say being able to have insights into virtual stores. "Great experience with Etail Insights"
Etail Insights helps us with our data needs around contact and account data, specifically in retail organizations. * We monitor all Etailinsights reviews to prevent fraudulent reviews and keep review quality high. We do not post reviews by company employees or direct competitors. Validated reviews require the user to submit a screenshot of the product containing their user ID, in order to verify a user is an actual user of the product. Hi there! Are you looking to implement a solution like Etailinsights?